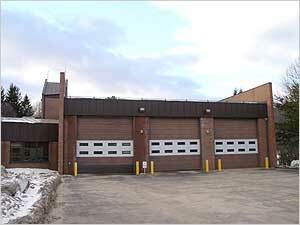 Stepney Station 2 was built in 1983 and is a sub-division for serving fire protection to the Town of Monroe. This station runs one engine, one truck and a support unit out of its beautiful six bay complex. In the event C-Med is down this facility is capable of running a back up dispatch center for all emergency operations. Station 2 is also designated as an emergency shelter for the citizens of Monroe.